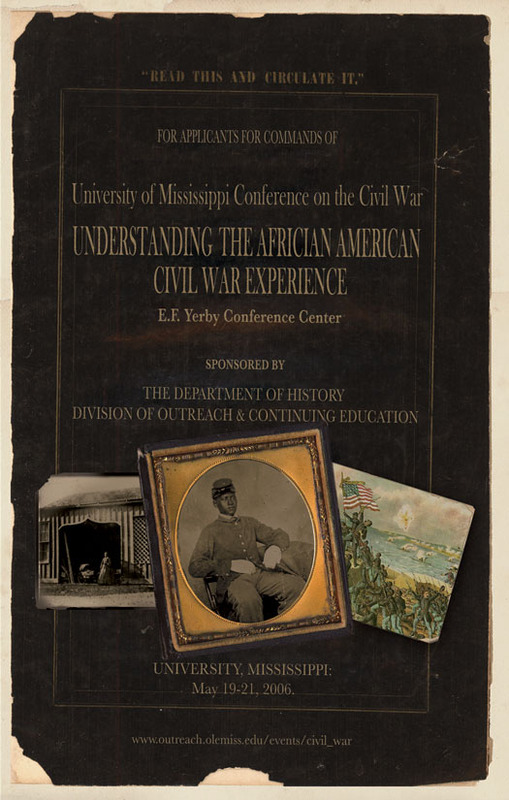 On 19-21 May 2006, University of Mississippi co-hosted the second annual Conference on the Civil War: Understanding the African American Civil War Experience. Panelists addressed a wide range of complex aspects of African American Civil War history, including resistance to slavery, enlistment in both the Union and Confederate armies, wartime experiences, and post-war challenges. Donald R. Shaffer, now assistant professor of history at Upper Iowa University, delivered the keynote address. Dr. Shaffer is the author of After the Glory: The Struggles of Black Civil War Veterans, which garnered the 2005 Peter Seaborg Award for Civil War Scholarship.